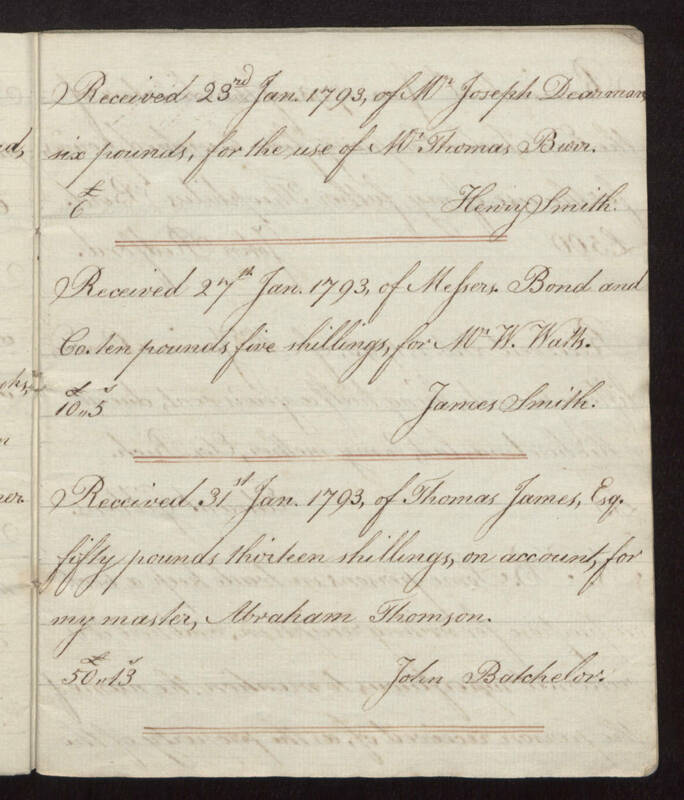 Received 23nd Jan. 1793, of M Joseph Dearman, six pounds, for the use of M Thomas Bunn. ￡ 6 Henry Smith. Received 27th Jan. 1793, of Mefers. Bond and Co. ten pounds five shillings, for M W. Walls. ￡ s 10,,5 James Smith. Received 31st Jan. 1793, of Thomas James, Eq. fifty pounds thirteen shillings, on account, for my master, Abraham Thomson. ￡ s 50,,13 John Batchelor.